BlytheLife.com » Insurance for dolls…?! Blythe costs a lot of money. She costs more money than the average Barbie, Monster High and Moxie Girlz doll combined. And let’s not forget the hefty price tag that doll clothes can have on the secondary market… But regardless of your dolls’ wardrobe (clothes are just clothes that are just clothes), it is important to remember that the doll is one of the most expensive part of the hobby. 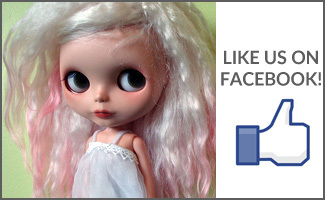 Especially when you start creeping up in the number of dolls that you have. In light of a recent event that happened at my summer work (there was a fire, I had to leave the Blythe I had brought into work on my desk when I was evacuating the building – I also left my purse, cell phone, all my identification…), I had to consider things. Like “What in the fudge am I going to do if the *building* burns down?!”. Very fortunately, the fire was contained to an area that was outside and away from the main building – but the alarm was still pulled so we were still evacuated. Which really just led me to think about what I would do in the event of an emergency like that – mostly considering my home because that’s where my dolls spend most of their time. Without needing to get into details of how much my doll collection costs, let’s consider the average stock doll is approximately $200. 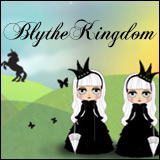 If you have a collection of just three Blythes, it’s at least around $600 (less if you’re only buying Simply dolls or the non-limited Prima Dolly dolls; a lot more if you’re only buying Kenners, anniversary dolls or older/limited releases). Despite being varying types of plastic put together, Blythe is an expensive item. Losing a collection would be both horrifying and expensive to replace. 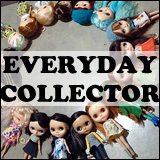 If you do have a pretty large (or just pricey) collection, it could be worth your while to either have the dolls included in your home (or rental) content insurance or a separate type of insurance for collectibles. I did a little bit of research and I was able to get my dolls added to the content insurance for only a few extra dollars per month (after I submitted proof of purchase price so they had the model names on file). eeeek my parents have been pestering me about this. :S I should look into it but not sure how it works for a rented property that I share with other people… especially since getting my Kenner it’s made me think it’s something definitely worth doing. I don’t know how it works in the UK, but in Canada you can get rental insurance (it generally just covers your property inside of the rental location because the landlords should have their own rental property insurance). See if you can find anything about it, it may be fairly inexpensive to get! I have just been thinking about this…I need to get an appraiser stat! I pay extra to cover my dolls up to $30000. I calculated how much it would be to replace them and the clothes.